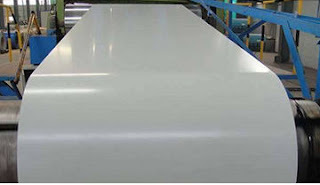 Either it is Expanded Polystyrene (EPS), Poly Urethane (PU), Poly Isocyanurate (PIR), these efficiency, non brittle closed cell, CFC free and low water vapor transmission. 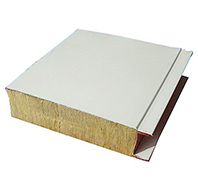 Expanded Poly Styrene is light material, non CFC, & non brittle closed cell foam with consistent thermal insulation performance, high dimensional stability and low water vapor transmission. Coatings : polyester coated Colorbond Antibacterial or Foodgrade coatings with 0.04mm plastic film laminated after fabrication for skin protection. Standard skin color : White. 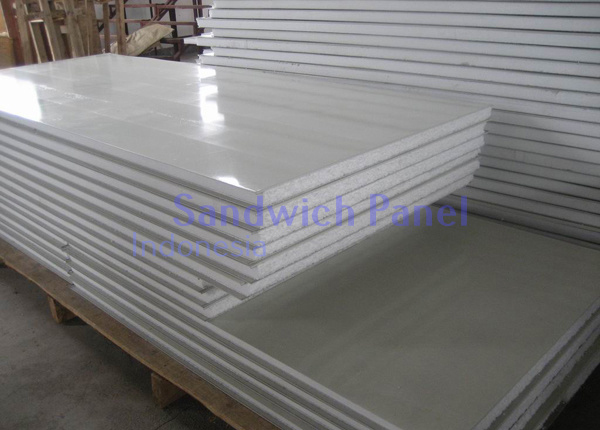 Sandwich panel indonesia - polyisocyanurate is a rigid polyurethane foam made by mixing isocyanurate an polyol with appropriate catalysts and HCFC Free blowing agent. Our steel skin is finished with luxury wihite color, so we can saving time & money for painting work, that easy to maintenance & cleaning, heavy duty, durable anti bacterial (optional) based on BPOM standard and more advantages. 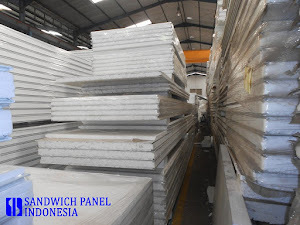 Our sandwich panels are manufactured to your project design requirements or your order based on approved drawing, but limited to 12m by transport and handling from our factory to your site, that make it cost savings with faster installation on site. And its also easy to make penetration electrical conduit or hole for all clean room requirements, from low return ducting, exhaust fan, power outlet, pass-through access to opening for lamp. 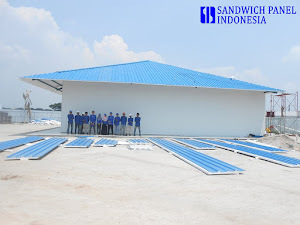 WHY CHOSE SANDWICH PANEL INDONESIA? Sandwich Panel Indonesia was born to meet the demand for insulated sandwich panel systems. We provide solutions, meet the demands and expectations of customers. 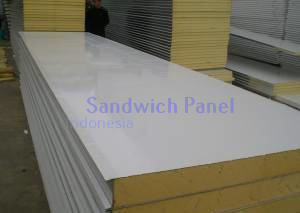 Sandwich Panel Indonesia Realize that customers who satisfied with the quality of our products and our services, will contact us again. And that our compliance with their demands and expectations are the foundation for our success. Our customer satisfaction is our primary goal.